Applications are now invited for Khazar University Scholarships 2019-20 in Azerbaijan. The Khazar University Scholarship is available in almost every field of study. International Students from all over the world can apply for Bachelor’s, Masters and Doctoral Scholarships in Azerbaijan. Khazar University announces the Excellence and Merit Scholarships for distinguished international applicants who wish to pursue bachelor’s, master’s and doctoral (Ph.D.) degrees at Khazar. The aim of Khazar University scholarships is to encourage and support candidates with an excellent academic performance from all over the world to study at Khazar University, a leading private university of Azerbaijan that offers quality education in the English language. This scholarship covers the full tuition fee of international students, enabling them to study tuition-free at Khazar University. The scholarship does not cover living, travel, and other expenses. Initially, the scholarship is awarded for one year, subject to prolongation depending on the academic performance of the student. These scholarships cover 75%, 50%, or 25% of the tuition fee on a competitive basis. Initially awarded for one year, the scholarship is subject to prolongation for the next academic year depending on the academic performance of the student. 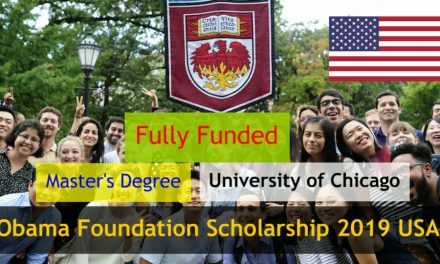 How to Apply for Khazar University Scholarships 2019-20? In order to apply for Azerbaijan scholarships, you need to apply to one of the programs offered by Khazar University and indicate that you wish to be considered for a scholarship in the application form. Please note that the final decision regarding scholarship awards rests with the Selection Committee. Khazar University offers study programs at both undergraduate and graduate levels for international students. To see the list of programs offered for the academic year of 2019-2020. Applications are submitted directly to the International Affairs Office and should be sent either to international@khazar.org or by post along with all required documents. When you submit the full application package via email make sure to indicate clear subject line – ‘Your name_Khazar International Admission 2019-2020’ Please consult the list of requirements for the selected level of study before submitting your application. Incomplete and late applications will not be considered.